No two coworking space members are alike. They may both be attorneys, or web developers, or freelance writers, or graphic designers, but their workspace needs will be different. The flexibility of coworking is one of the most powerful draws for independent professionals who want to create their own schedules, access amenities when and how they need them, and change membership plans as needed. Regardless of your schedule, workspace needs or budget, there’s a Pacific Workplaces (PAC) coworking option for you. PAC has provided shared workspace since 2003 and our team prioritizes customization for members and casual users. 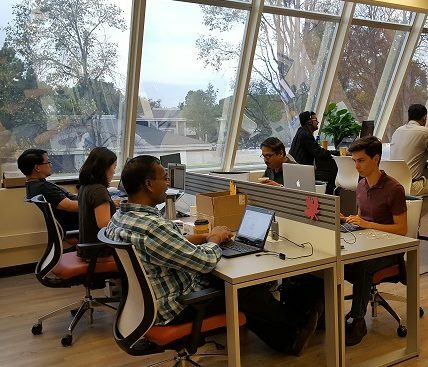 Whether you need a meeting room in Berkeley, occasional access to open coworking in Santa Cruz, a virtual office in Sacramento, mail services in Reno, a private office in Walnut Creek, a dedicated desk in Palo Alto, or regular access to a conference room in San Jose to host team meetings, PAC has you covered with workspace plans that work for you, your schedule, and your unique professional needs. Every PAC membership comes with access to basic shared workspace services and amenities, including fast wifi, ergonomic furniture, a printer and scanner, professional space to bring clients, complimentary coffee and tea, and more. As your business grows, you can add on PAC services as needed. 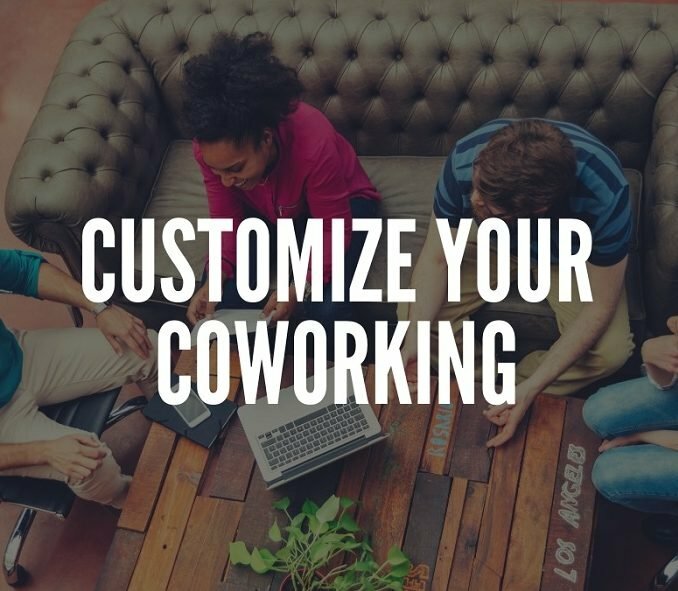 This easy customization of your coworking membership plan means your business can evolve within your existing workspace—without the need to piece together amenities, such as mail, a business address, and conference room access, from different providers. 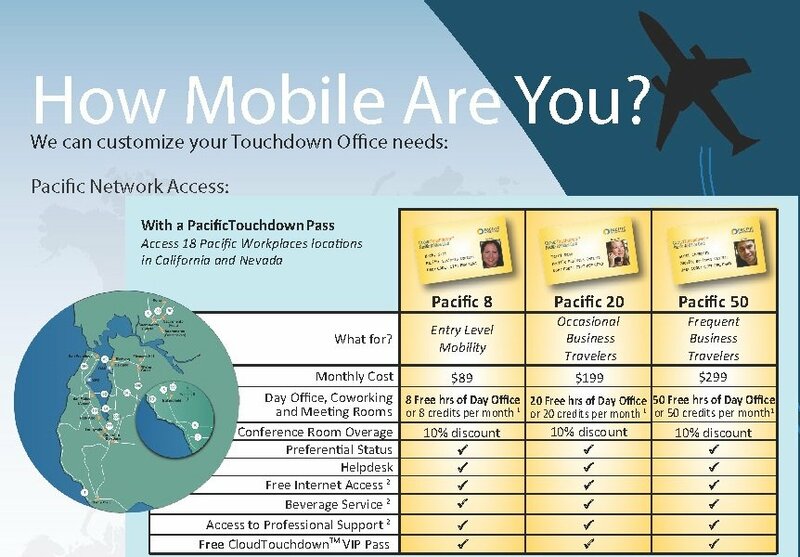 Should your business needs require you to work out of more than one location, you can also add-on a PacificTouchdown Pass, which gives you access to any of the 18 locations within the PAC network. Shared workspaces have the added benefit of being home to a variety of professionals. This means your in-house network grows significantly when you join a PAC workspace, regardless of which membership plan you choose. As you work alongside developers, designers, attorneys, writers, programmers, startups, students, remote workers and more, you have access to a diverse network of people with whom you can connect and collaborate. You’ll also find ways to utilize all the workplace amenities PAC offers, when, where and how you need them. Do you need customizable workspace? For more information about PAC’s 18 locations across Northern California, visit pacificworkplaces.com.